Beautiful mandala shape covered in intricate patterns. 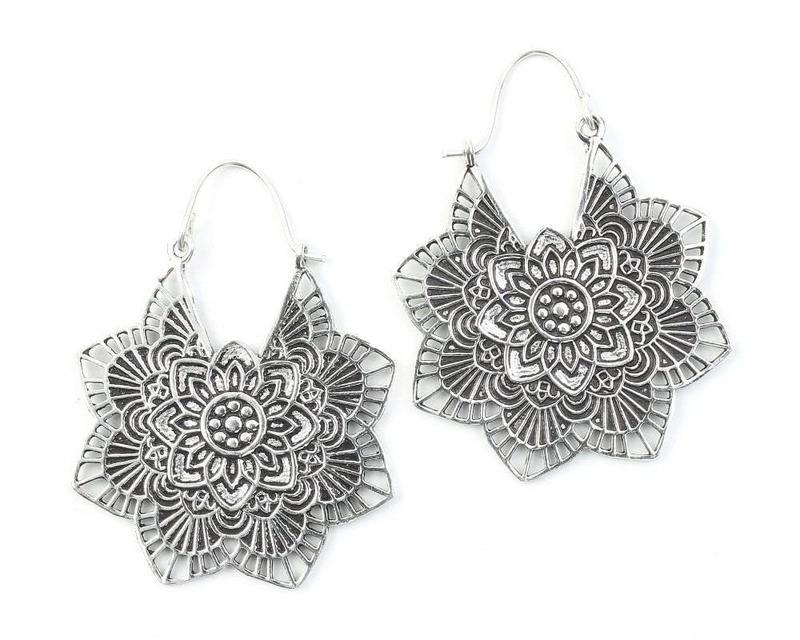 Ornate India earrings with delicate cut out design. Cute earrings, but the wire that goes through the ear is flimsy. Have to be super careful not to bend them when putting them on. I absolutely love WEARRAW jewelry. These earrings are the third piece I've bought from them. They are beautiful, but I am having a really hard time getting them off and on?! I don't know if it's the earrings or the user (me), but it would be nice if there was slightly more silver that goes through the back loops. Just my opinion. Love them though!! I have two rings that I wear everyday and I work as a cashier so I get tons of compliments on them!! Looking forward to many compliments on the earrings as well! Keep up the great work! Gorgeous! Love the little bag they came in!